Colorado's new governor has made free full-day kindergarten one of his signature priorities in his first month in office. DENVER -- Colorado's new governor has made free full-day kindergarten one of his signature priorities in his first month in office. It's an idea almost universally praised. But what's unclear is how to pay for it. Some Democrats have said if it comes at the expense of roads, that debate could be a bumpy ride. Others argue the money is available in the form of new tax revenues. There's no question kindergarten is important. Yet, for most, it's only free in Colorado for a half day. "Parents and students deserve to have full-day kindergarten,” said Laura Luscinski, a kindergarten teacher at Denver’s Cheltenham Elementary. “They deserve access to it." "That would be amazing," said Katie Bourque, who has twins in kindergarten. Just two weeks into the job, Gov. Jared Polis has made free full-day kindergarten a household issue. "For school districts who want to offer these vital opportunities to families, we will do everything possible to make it happen," Polis said. But how do we get there as a state? "The question is: How do we pay for it?" said Senate Minority Leader Chris Holbert, R-Douglas County. "We can only spend the dollars we have." No one argues full-day kindergarten is a sharp investment. The governor proposes $227 million to fund it, in part because it's currently costing some families up to $500 a month to pay for full-day kindergarten. In many districts the amount you pay is based on your household income. The more you make, the more you pay. "The cost of school for anybody is a huge burden," Luscinski said. The issue is not debatable. When it comes to a full-day vs. half-day kindergarten, experts say there's no comparison. 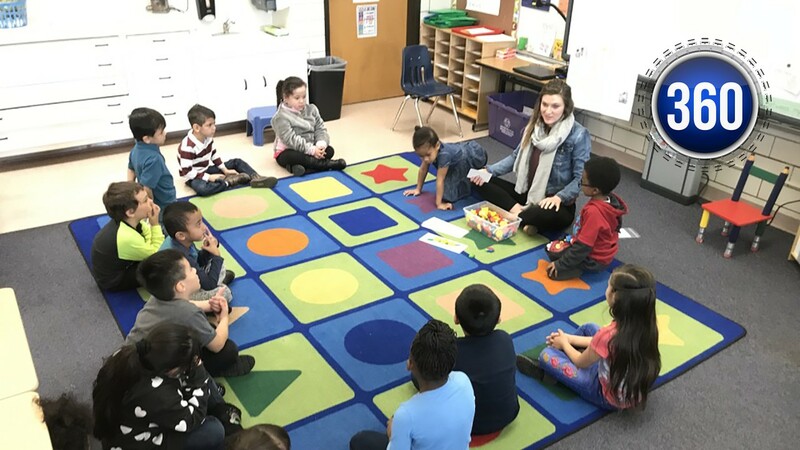 "There's a huge difference in terms of what our students can accomplish and how prepared they are for the next grade level," said Cheltenham Elementary Assistant Principal Liliana Melendez. Melendez says there are clear achievement gaps. Many kids who only attend half-day are being left behind, she said. Luscinski sees it first-hand. She says what happens in her class is hardly child's play. "The amount of growth they make from the beginning of the year to the end of the year is just incredible," Luscinski said. The socioeconomics of the issue are apparent. At Cheltenham, more than 95 percent of the students are on free and reduced lunch. Rose McBride says it would be hard to put food on the table without her daughter being in full-day kindergarten. "I'm a single mom,” McBride said. “And I don't have much help with finding daycare for her. And daycare itself, as well, is expensive. It just makes it easier for me. I’m able to work a full day because they offer full-day [kindergarten]." “My hands and my heart," she said. Bourque’s twins are in full-day kindergarten and she says free full-day kindergarten would ease some financial stress. "I'm just above where you have to pay,” Bourque said. She and her husband pay about $300 a month per child. “It's a lot, but I understand the importance of early education." Jeannie Rodriguez says kindergarten has been invaluable to her family. "We want our kids to come to school,” Rodriguez said. “We need the school. We want them to learn the best they can. We want them in a safe environment. I know a lot of families that do have to pay and it would sure relieve a lot of stress for them." "This is not a mandate,” Polis said last week. “Either for parents or for school districts." But his plan would only offer extra funding to districts that opt to implement full-day kindergarten. On the other side of the aisle, Holbert proposes extra funding for all districts. "Ours doesn't have those strings attached," Holbert said. “Let's give the school boards [and] the school districts money and not prioritize how they spend it. It’s their decision in Colorado. Our Constitution gives them local control." Holbert says the state has an extra $1.2 billion in tax revenues this year. He's proposing giving schools even more. He says he’d like to give school districts $336 million, which he calls a repayment for an IOU to Colorado schools from the lean years of the recession in 2009-10. "We already owe them the money,” Holbert said. “We should have given that money to school districts in the past and we didn’t have the money to give. So we should give it to them now." Lawmakers on both sides seem poised to do something. The question is which plan will stick. "When you talk about the big picture, when you talk about bigger problems like the achievement gap and the percentage of students that are graduating from high school and college, everything begins in kindergarten," Melendez said. "We ended up at Cheltenham in full-day kindergarten,” Bourque said. “And it has just been magical."